Instant Knockout is a fat burning supplement produced in the UK by Roar Ambition and marketed exclusively from the product website. 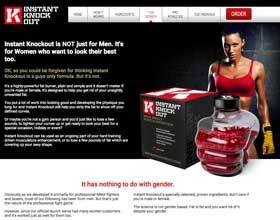 The site’s dark colour scheme tends to make it appear to be somewhat male oriented, but don’t let that dissuade you. Just look for the “for women” tab and give it a click. The somewhat masculine feel the site exhibits is not surprising once you know a little of the history of the product. Instant Knockout was originally developed to provide supplemental support to fighters who needed to lose some of their body fat, but none of their muscle, in readiness for their next big fight. The capsules contain a number of fat burning ingredients chosen to help blitz bingo wings and get the waistline back into shape. Instant Knockout is also designed to provide the appetite suppression that is necessary to prevent nibbling and snacking between meals. Fat burning and appetite suppressing combinations can provide powerful weight loss results because they can lower calorie intake while also maximizing the amount of calories burned, but as with any slimming product the end results will depend on the quality and quantity of the ingredients used. We’ll take a peek at that now. Vitamin B6 (5mg): Helps to ensure a healthy metabolism. Vitamin B2 (10mcg): Necessary for a healthy thyroid—important because thyroid hormones help to control the metabolic rate. Zinc (10mg): A mineral that assists cell repair and boosts overall fitness. GTF Chromium (100mcg): The fat burning powers of chromium first came to light during the 1950s and its success during studies resulted in it being dubbed “The Glucose Tolerance Factor”. Green Tea Extract (500mg): A diet pill regular, green tea provides catechins that boost the metabolism and trigger thermogenic fat burning. 500 mg is a powerful dose. Green Coffee Extract (100mg): Green coffee beans provide a powerful fat reducing compound called chlorogenic acid, which affects blood sugar levels and metabolism to do its job. Cayenne Powder (100mg): Cayenne is a chili pepper derivative that can speed up the metabolism and provide powerful fat burning benefits. Glucomannan (1800mg): A natural fibre taken from the roots of the konjac plant, glucomannan expands inside the stomach to create a feeling of satiety that naturally suppresses the appetite. Caffeine Anhydrous (300mg): A stimulant that can help ensure physical and mental energy levels are maintained throughout the dieting process. Black Pepper Extract (10mg): Provides an alkaloid called piperine that is a proven metabolism booster and can also increase the bioavailability and absorption of other ingredients. Customer feedback is very good, although some ladies point out the product packaging does leave a lot to be desired. Side effects are highly unlikely, but some caffeine related effects cannot be ruled out entirely because different people can respond to the same ingredients in different ways. 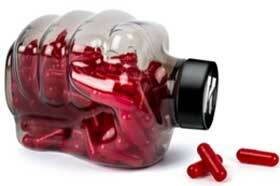 Pregnant or nursing mothers are advised to speak to a doctor before using any brand of dieting supplement. Women who are taking medications or who have existing or suspected health issues should also play it safe and seek medical advice before commencing supplementation. The pills inside the manly fist-shaped bottle and sombre grey box really do appear to contain a “knockout” formulation that should do everything they are claimed to do. The ingredients are good. Customer feedback is good. 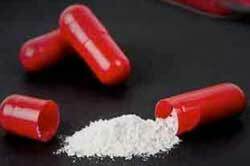 These pills should be a good choice for any woman who is serious about burning some fat and all purchases are protected by a money back guarantee. Instant Knockout may not be all that chic to look at but it still gets a big gold star from us. 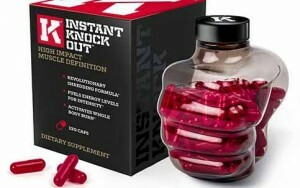 Worldwide shipping is available and all bottles of Instant Knockout are sold with a 90 day money back guarantee. Customers who purchase three bottles of pills on a single order receive a fourth bottle free of charge and a complimentary t-shirt.